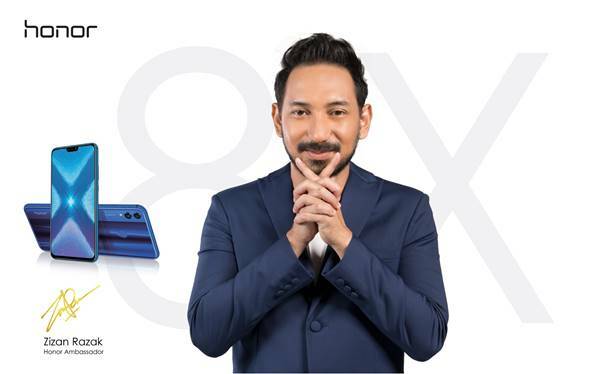 honor Malaysia, the leading smartphone e-brand, has announced that famous Malaysian comedian, television host, actor and singer, Zizan Razak, as the official ambassador for its latest smartphone model, the honor 8X, which is launching soon on the 9th of October 2018. You can watch Zizan Razak “live” at the launch of the honor 8X on honor Malaysia’s official Facebook page on 9 October 2018. For more information on Zizan’s ambassador role with honor Malaysia, please visit honor’s official e-commerce website and information portal at http://hihonor.com/my, honor Malaysia’s official Facebook page at https://www.facebook.com/HonorMY/, or drop by their official shop on Shopee at https://shopee.com.my/honormy.officialstore for more exciting updates.